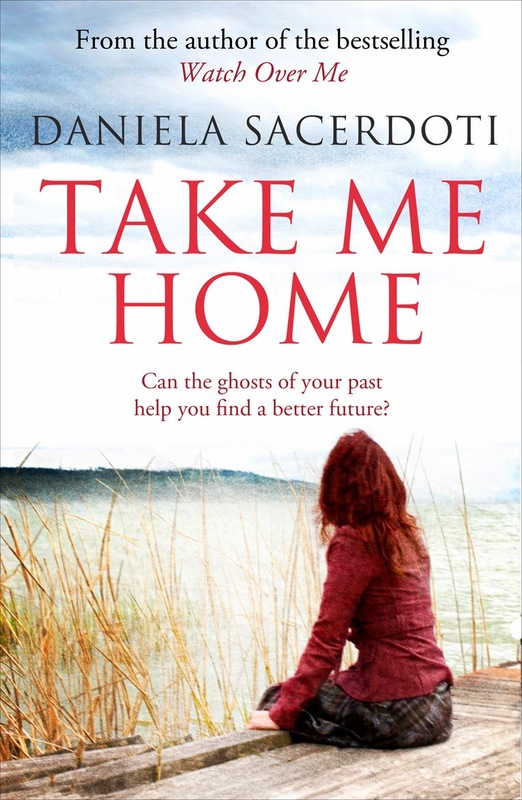 I adored Daniela’s Watch Over Me, in fact I notice that I am quoted in Amazon’s product description of her new book Take Me Home praising Watch Over Me saying “Take your time when you read this, absorb every word, because it’s totally and utterly worth it. The first book I’ve ever wanted to read again before I’d even finished turning the last page; this book will stay with me forever”. So you can imagine my delight when Take Me Home arrived one morning. So much so, I ditched the book I was reading mid-way through (I was struggling with it, and I needed an excuse to move on) and started to devour this new book. It had big boots to fill, and did it live up to expectations? Yes, it did. I don’t think I loved it as much, but only because I wanted more. I wanted more of Inary and Alex and the ending wasn’t quite as beautiful as I had hoped for. It was the perfect read to keep me sane on my delayed Tuesday morning commute, and it only took two days of commuting to finish rapidly turning the pages. Perfect timing some might say, as I turned the last page as the train pulled into my station one evening last week. Take Me Home has tinges of similarities to Watch Over Me; there are the broken hearts, the sadness and the element of “paranormal activity”, but it is unique and wonderful in its own right. The book is written from different characters perspectives, and it alternatives perfectly to allow you to capture each characters innermost thoughts. This style of writing doesn’t break the pace or flow of the book – it’s perfect. The other book (which I ditched for this one, and which shall remain nameless for now), was causing me problems because I just couldn’t identify with the main character. I just didn’t care. However, I loved Inary from the first page of this book. The book resounded with me, as I too find myself distancing myself from relationships (although for me it isn’t the conventional reason of having my own heart broken) and Inary’s deepest thoughts occasionally reminded me of myself. I also loved Alex – he sounds like the sort of man I would like in my life. Maybe I have my own Alex, but I just can't see him for who he is?! Take Me Home really is a truly beautiful story; it’s gripping and it’s moving. It will hold your interest from the first sentence right through to the last, and it will leave you wanting more from Daniela Sacerdoti. Once again, I am left wondering what book could possibly replace the void which Dani has left, once more, in my life. Thank you to Janne at BlackandWhite Publishing for the advanced review copy!! !